Order the Tailgate Party Pack! 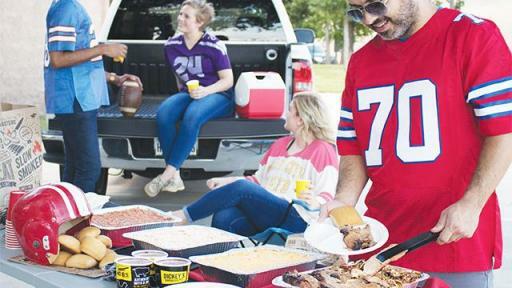 (Dallas, TX) -- Dickey’s Barbecue Pit, the largest barbecue chain in the nation, is ready to change the game when it comes to tailgate parties! What better way to kick-off the 2017-2018 football season than with low and slow-smoked barbecue delivered for game day? 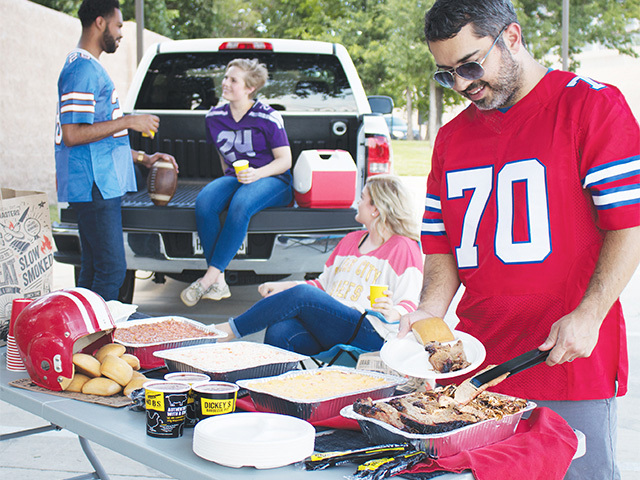 On August 7, the new Tailgate Party Pack will be available to order at your local Dickey’s Barbecue Pit offering guests a more convenient way to order, deliver, set-up, clean-up and of course keep their crew satisfied beyond kick-off. 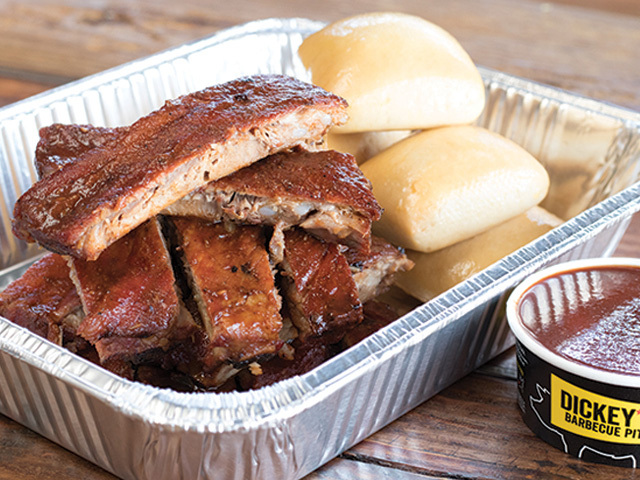 Fans can also order or add Dickey’s new Rack N’ Roll Platter ($26), which includes a full rack of ribs and six buttery rolls, to satisfy your crew well into overtime. Both the Tailgate Party Pack and the Rack N’ Roll platter, along with Dickey’s full menu, can be ordered at dickeys.com. 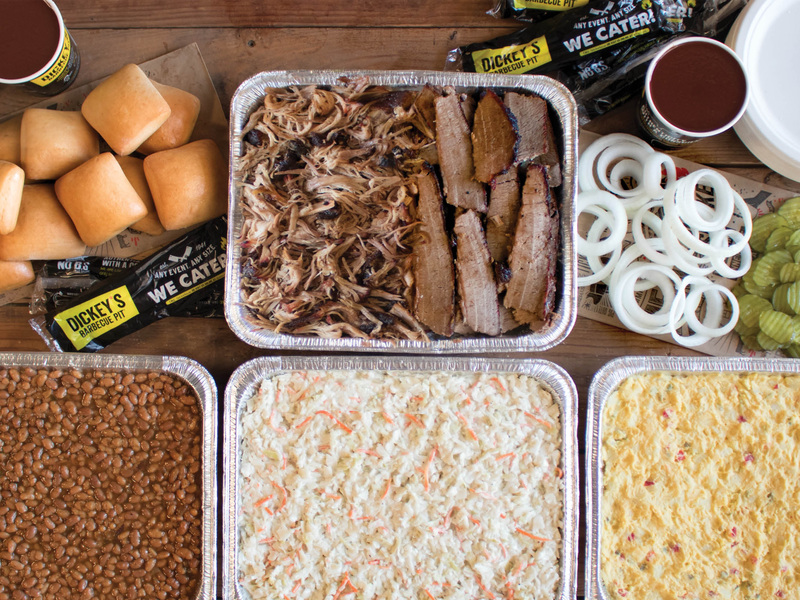 The majority of Dickey’s Barbecue Pit locations are also launching delivery directly through the restaurant or through a third party delivery partner. 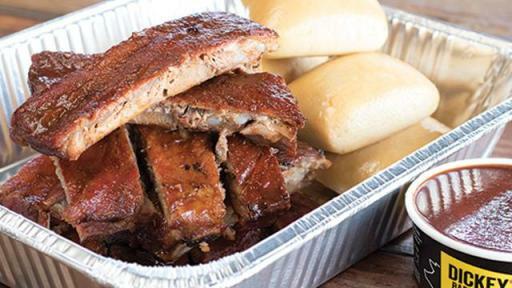 Orders may also be placed by calling 866-Barbecue. Order Dickey’s delicious, slow-smoked barbecue in your Tailgate Party Pack for pick up or delivery here. To find the store nearest you, click here. Find Dickey’s on Twitter, Facebook and Instagram. Dickey’s Barbecue Restaurants, Inc., the nation’s largest barbecue chain was founded in 1941 by Travis Dickey. Today, all meats are still slow smoked on-site in each restaurant. 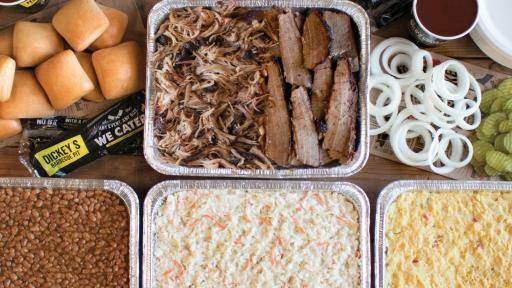 The Dallas-based family-run barbecue franchise offers several slow-smoked meats and home style sides with ’No B.S. (Bad Stuff)’ included. 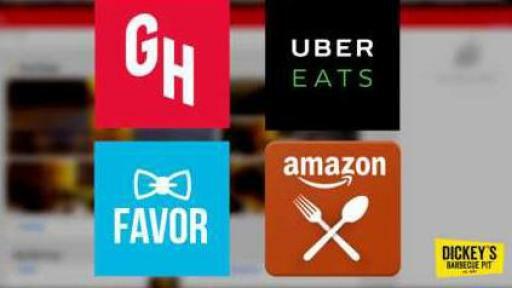 The fast-casual concept has expanded to nearly 600 locations in 44 states. In 2016, Dickey’s won first place on Fast Casual’s "Top 100 Movers and Shakers" list. Dickey’s Barbecue Pit has also been recognized by Entrepreneur Magazine, Franchise Times, and Nation’s Restaurant News. For more information on Dickey’s awards, visit www.dickeys.com.